Many communities are seeking more stable local development. They want to ensure that they retain their young talent and that they develop businesses with a long-term commitment to the community. There is also a great need to ensure more stability in key services. Ecoleo Consultants provide a local and sustainable Co-operative Economic Development model promoting the creation of co-operatives businesses. It is specifically tailored for communities that want to strengthen their local economic growth with businesses owned by people in the community. Our co-operative development model is also well suited for assisting employees of well-established, family-owned businesses in taking ownership from their retiring owners, thus keeping the business in operation and in the hands of its employees. Ecoleo Consultants can assist community groups in forming co-operatives by meeting with interested potential members to educate them on the merits and strengths of the co-operative model. We will also help you determine the suitability of the model to meet your needs and help to identify the scope of opportunities that exist. 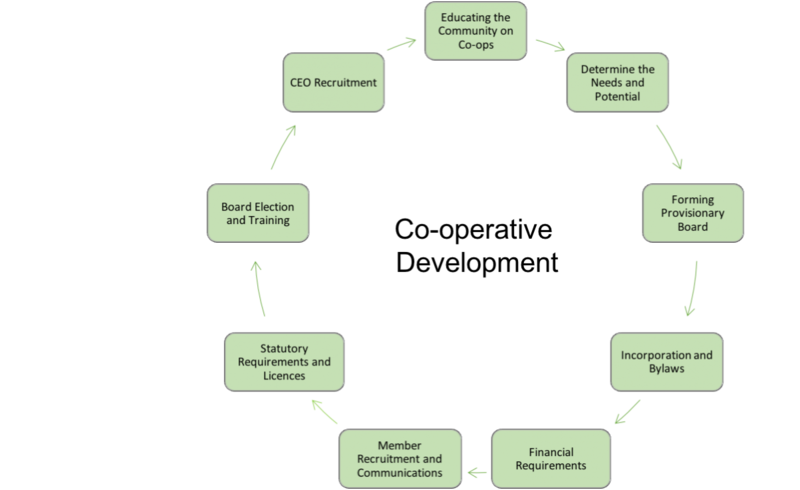 Once it is determined that the co-op is a viable option, we guide your group in forming a provisional board and assist in applying for incorporation and preparing by-laws. Ecoleo Consultants can help you determine the capital requirements and financial contributions required by members to support the co-operative. 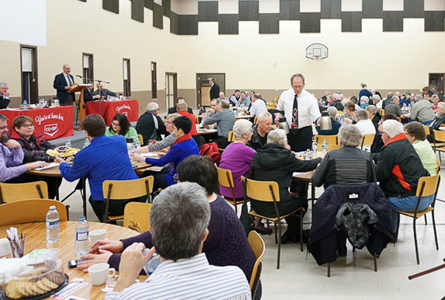 We will help you determine your member share structure and share capital requirements, and we will explore other options for funding through government, co-operative and community sources. We can guide you through the business requirements to obtain business numbers to operate in your province, the statutory requirements and the appropriate licenses for regulated activities. We will assist with meetings and recruitment of and communications to members and potential members. Ecoleo Consultants will help you in recruiting qualified directors and provide training for these elected representatives that will serve on the board. We will also assist in the preparation of the job description for the CEO and will assist with the recruitment and selection. We will also provide management and technical advice and training as required. Also refer to our services section on governance.